Features --100% Premium Combed Cotton, machine washable and fast drying. high quality material, shock absorption and comfort. Research shows -- That babies who are carrying in a sling cry less, sleep more peacefully and nurse better! 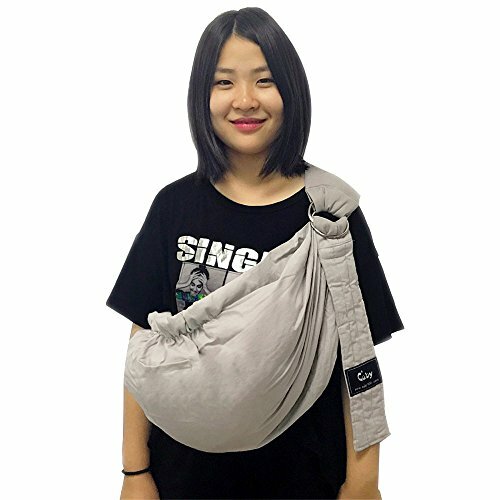 Adjustable -- One size fits all and fully adjustable, quick to set up and can be adjusted to fit different body sizes and positions in seconds.This sling allows you to carry your baby in the same position they used in the womb. This makes it easy for you to enjoy eye contact to bond with your new bundle of joy.